California – Kings stay kings. Cal should finish the season undefeated – if they don’t it’s a total stunner. Georgia Tech – There’s a formula for success in the MCLA and it’s evident that Coach Lovic and his staff have solved that formula with this group of future scientists and engineers. Liberty – The Flames keep rolling, unlike their hoops team (who put on a great effort tho in the Tourney). They host South Carolina this weekend in what may be the SELC Game of the Year to this point. Arizona State – Sun Devils continue to roll. They clobbered Oklahoma and “waved” past Utah Valley. They’ve got an off week but follow it up with tough tests against GCU and the LaxCats. Chapman – Since losing 2 in a row early in the season Chapman has righted the ship. They went out to Colorado and took care of business. Squeaking by Boulder and then handily beating CSU. They play CUI this weekend in what has potential to be a thriller. Boston College – BC got back into the mix with knocking off CCSU. 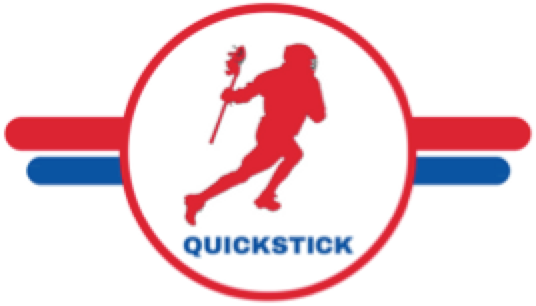 They play UNH this weekend in a battle of QuickStick Top 10 teams. Colorado – Are they better than 8? Perhaps. For now they aren’t. A blowout win vs CUI was a statement after narrowly losing at home to Chapman. Virginia Tech – The best 3-loss team in the nation by far. They came away with 3 quality wins up in the Battle for Baltimore and now head out to Ohio to take on Michigan State and Indiana. New Hampshire – Yup. You heard it here. It’s a bold move but one that could be foreseen. The Wildcats are a strong and pesky group. Excited to see what they do against BC. Concordia – Irvine – Since our last poll the Eagles have fallen twice, including a 7-goal loss to the Buffs. The road doesn’t get any easier for CUI as their next two games are against Chapman and UCSB. Cal Poly – The Mustangs fall a bit in the poll after their loss to Chapman but face BYU this week in a game with serious MCLA Tournament implications. BYU – It’s been a slow two weeks for BYU. They lost to South Carolina by 5 and then beat the LaxCats by 1. Two games in Vegas this week, with one vs Cal Poly and a lot on the line. Can’t sleep on their game vs Texas A&M either. Arizona – Since our last poll Arizona fell to BYU by one and cruised by Oklahoma. Big date on Friday with GCU. Grand Canyon – GCU is really tough to figure out, that’s all we can say. They knocked off CUI but then fell to viral sensation Utah Valley. With 5 losses GCU needs to win out to be in the at-large conversation. Big game against the LaxCats on Friday. Michigan State – Sparty cruised in their last two games against their fellow Michigan friends WMU and CMU. Tough weekend ahead with Indiana and VaTech. UCONN – UCONN played GaTech closer than anyone this season. Putting them at 17 is slightly disrespectful but the good thing is they have the CLC season to prove themselves. The play Northeastern on Saturday. Clemson – The Tigers play LSU and NC State this weekend. They should win both those games – ’nuff said. Florida State – Two good wins over Texas and UGA get the the ‘Noles back in the poll. Utah Valley – The social media whiz-kids climb into the top 20 poll. They sit at 8-1 but have a daunting road ahead with the Buffs, CSU, Texas A&M and BYU.